‘Jackson’ Newton Posey, age 26 of Atlanta, passed away Wednesday, September 12, 2018. He was born in Fernandina Beach, FL, May 15, 1992, son of Richard James Posey and Peggy Whitton Posey. attended and played baseball for the University of Southern Mississippi and the William Carey University in Hattiesburg, MS. Survivors include his parents, Richard and Peggy Posey of Atlanta; a son, Connor Vanderheiden of Hattiesburg, MS; two brothers, Austin and Jess Posey of Atlanta, Graham Posey of Atlanta and his paternal grandmother, Minnie Bell Posey of Bremen. The family will receive friends at the funeral home Sunday from 1:30 until 2:30 PM. Services will be Sunday, September 16 at 3:00 PM from the graveside in Poseyville Church Cemetery with Dr. Alan Posey officiating. 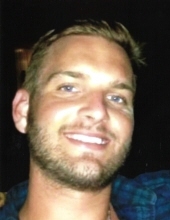 If you would like to honor the memory of Jackson Posey in lieu of flowers, please send your contribution to Southern California Recovery Center, 609 South Vulcan Ave. Suite 301, Encinitas, CA 92024 or to www.gofundme.com/in-loving-memory-of-jackson-posey. To plant a tree in memory of Jackson Newton Posey, please visit our Tribute Store. "Email Address" would like to share the life celebration of Jackson Newton Posey. Click on the "link" to go to share a favorite memory or leave a condolence message for the family.